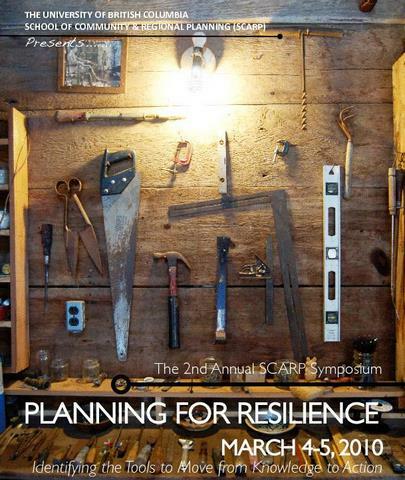 The School of Community and Regional Planning at UBC (SCARP) is excited to announce its 2nd Annual Symposium and this year’s topic of Planning for Resilience. Visit the symposium website for more information and to register. Abstract: When we speak of food systems, what we are really discussing are systems of people. This panel will explore the inextricability of social networks and capital in creating and maintaining healthy (resilient, sustainable, accessible, ecological…) food systems in urban centers. What do these networks and forms of capital look like? How do they manifest? And, where are the gaps yet to be filled? The panel will be participatory and involve creating a physical social web which connects all the attendees to one another by revealing our involvement with food in Vancouver as an eater, gardener, activist, academic, etc. We will then transition into a conversation with the group featuring our panelists which delves into the topics and sub-questions outlined above, or perhaps goes somewhere completely new. Looking forward to juicy fall apples!